In 2016, FMO launched the FMO Sustainability Policy Universe. This universe brings together multiple sets of documents and tools that together form the framework that guides FMOs efforts in relation to Environmental, Social and Governance (ESG) issues. FMO has realized a comprehensive and holistic approach to contributing to sustainable development, aligned with the Global Goals for Sustainable Development and in compliance with the many international norms and standards that are aimed to shape corporate responsible behavior. operations, putting FMO well on track to achieve its mission, vision and ambition. In 2006, FMO adopted the Equator Principles. FMO has been applying the Safeguard Policies / IFC Performance Standards since the year 2000. Additionally, FMO has chosen to apply the IFC Performance Standards to all financing, not only our project finance transactions but corporate finance as well. Hence FMO goes further than the Equator Principles’ requirements. FMO currently uses the 2012 IFC Performance Standards and third generation Equator Principles. FMO believes that transparency on financing and investments is fundamental to fulfilling its development mandate. Therefore, FMO has adopted a disclosure policy outlining the scope and type of information that it makes available to the public. This policy does not provide any contractual or other rights to any party. FMO's disclosure policy applies to all financing and investments committed to from January 1, 2013 and onwards. Next to the disclosure of the annual reports, press releases and corporate and policy related disclosure, FMO will disclose information about its investments and financing. In its implementation of the policy, FMO may be dependent upon cooperation by third parties. 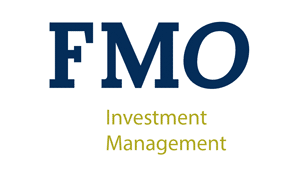 All investments allocated to funds advised on by FMO Investment Management will be subject to FMO’s disclosure policy.